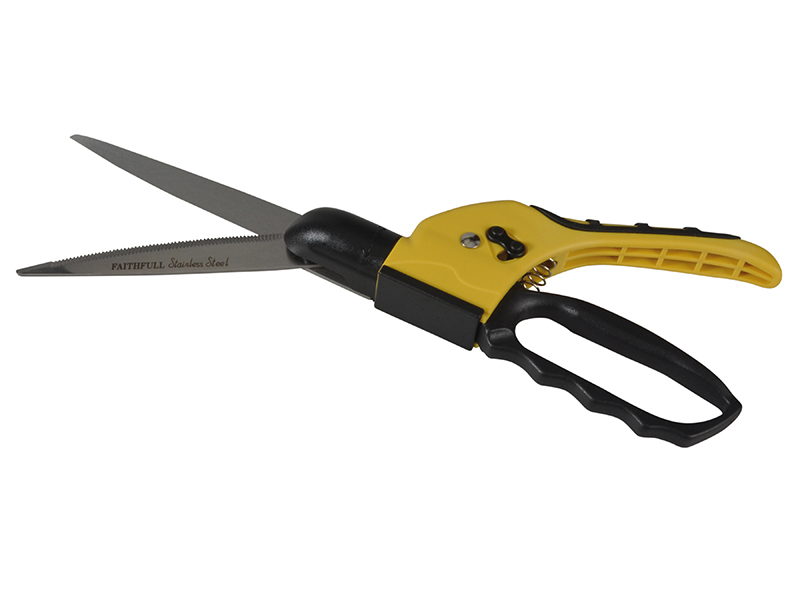 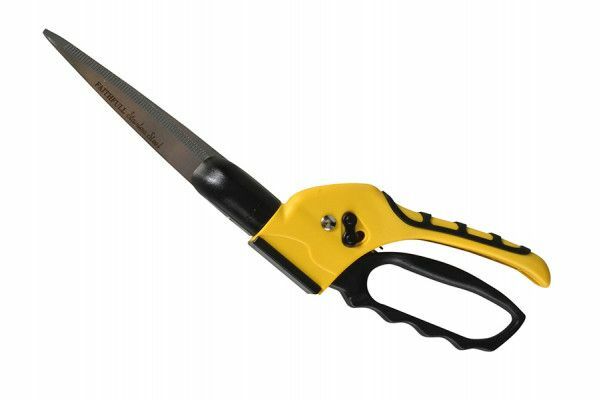 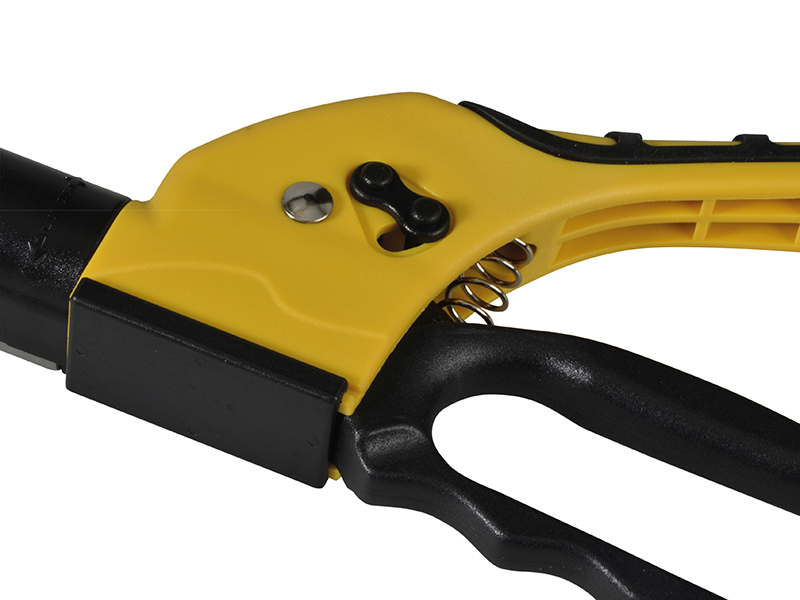 The Faithfull One Handed Shears have a 360° swivel head that allows 12 cutting positions. 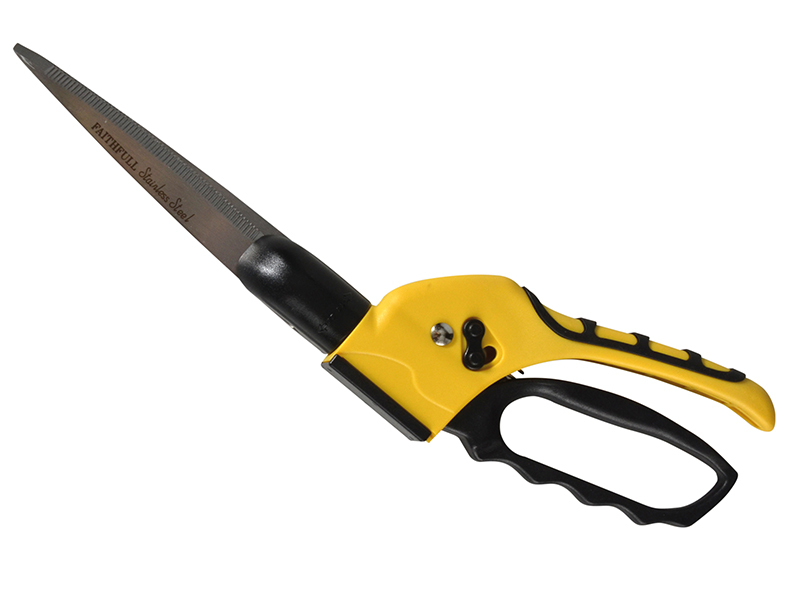 The stainless steel blades have a serrated upper blade and a safety catch to keep the blades closed when not in use. 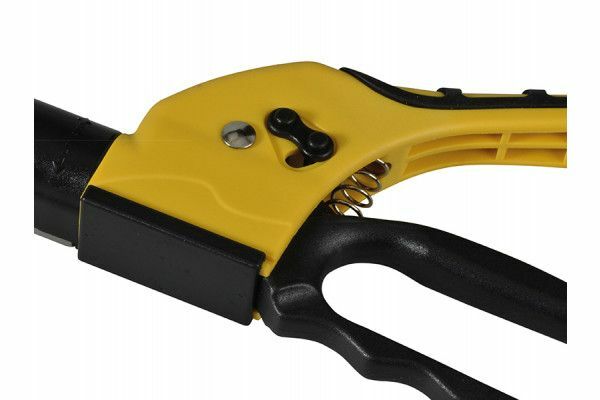 Two position handle grip for large and small hands. 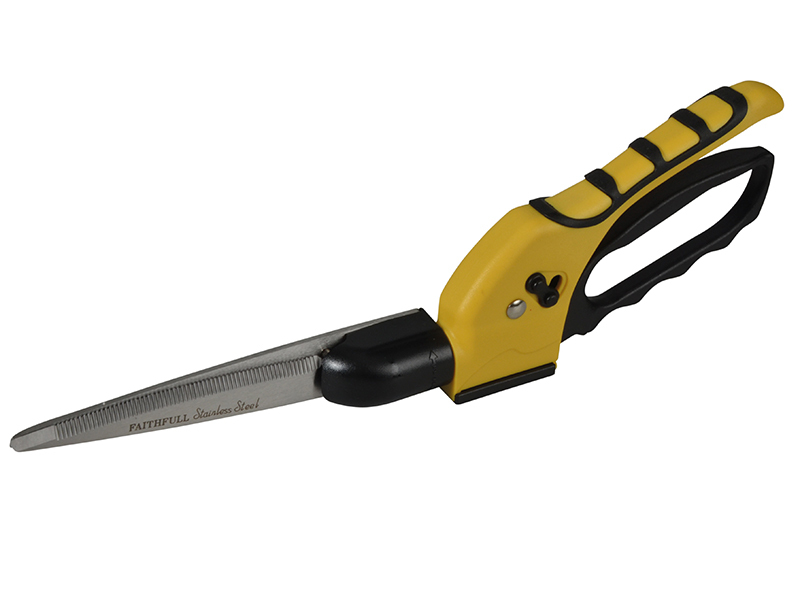 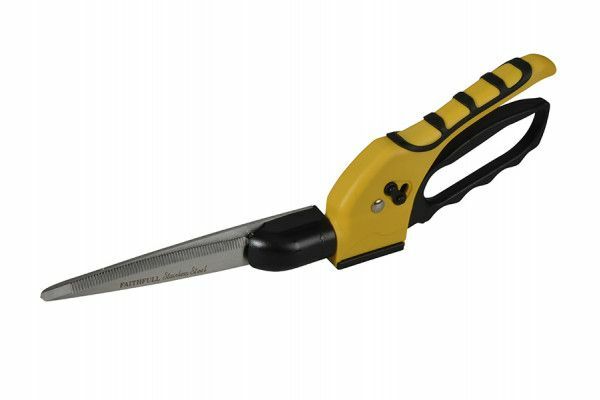 Robust nylon and fibreglass handle with non-slip soft-grip covering.